The Nittany Lions defense has several players who seemed prime for a breakout year in 2019. Heading into 2018, it seemed reasonable that the defense would take a step back after losing several players to the NFL and replacing them with young players with little-to-no game experience. Defensive coordinator Brent Pry would not allow that to happen, however. The defense found its footing early in the season, and completely exceeded expectations. Now, there are high expectations heading into 2019 for a dominant, punishing defense. Let’s take a look at five players who will be looking to play a major role in the success of the defense this fall. -he’s also a very large man, at 6-5, 250 lbs. -Did I mention he runs a 4.42 40? 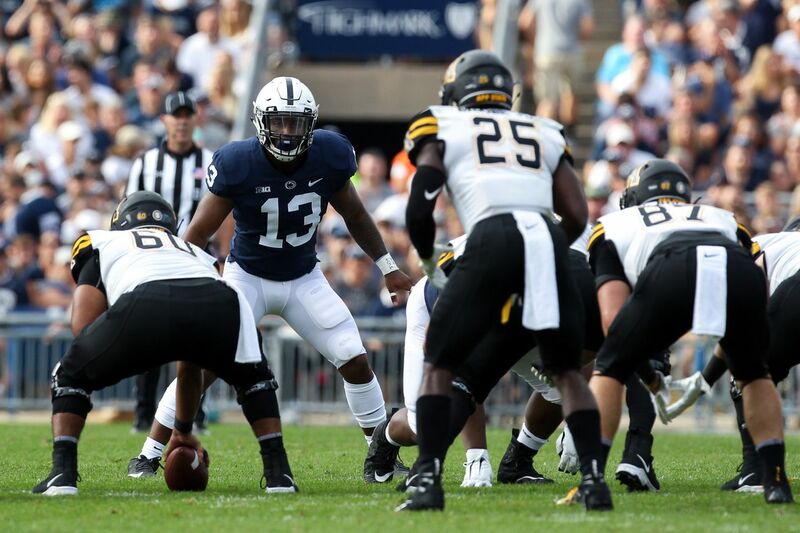 -As you read this, every Big Ten quarterback outside of Happy Valley is getting a sinking feeling in the pit of their stomachs. When asked why they suddenly look so glum, they will stare off into the distance and say “I don’t…know.” In time, they will find out when getting plastered by Oweh, who in case you missed it, is very large and very fast. Wade entered Penn State as a highly-coveted recruit who saw immediate playing time at cornerback. He was switched to safety as a sophomore, and saw his role with the defense shrink as playing time become more and more scarce. However, now seems to be the time for Wade as he has come into his own to prepare to take ownership of the starting spot opposite Garrett Taylor. Wade has been garnering praise from James Franklin throughout spring camp, and seems ready to not only increase his role – but to become a difference-maker and star of the secondary. Mustipher showed flashes off his immense potential playing as a true freshman. Now, it sounds like he’s ready to turn the corner and become another dominant defensive linemen to come out of Happy Valley. Exhibit A: Franklin recently commented on Mustipher, stating that he is reminiscent of Austin Johnson , which should get any Penn State fan excited to see what Mustipher can do. If Franklin’s assessment is correct, Mustipher will be not only clogging up the interior of the line, but also making his way into the backfield as a one-man wreaking crew this fall. The future of Linebacker U. is extremely bright once again with the addition of Smith , as well as fellow early enrollee Lance Dixon (keep an eye out for #10 on Saturday as well). Once they are prepared to join Micah Parsons on the field, Penn State will have one of its best linebacker trios in program history. Reeling in Smith was a major get for the Nittany Lions- he’s not just a five-star prospect with offers from every major program, he has the size and skillset to potentially be a breakout star as a true freshman. The Blue-White Game will be our first peak to see if Smith will not only contribute this fall, but be a major difference-maker at inside linebacker. If you paid close attention, you could see Brooks making key progress throughout his redshirt freshman season in 2018. 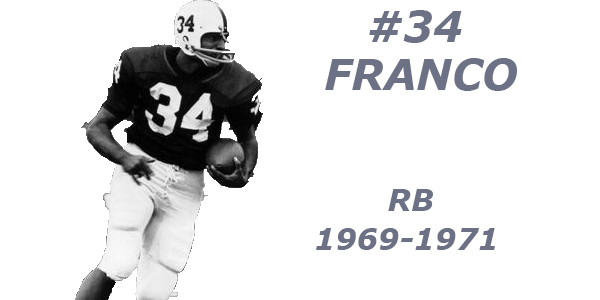 He was one of many linebackers short on experience who learned on the fly out of necessity, but with each week his instincts were honed as he played with more confidence, finding himself around the ball more and more often. Now with another offseason under his belt, Brooks could look like an entirely new player as he prepares to become a bigger part of the Nittany Lions defense in 2019.